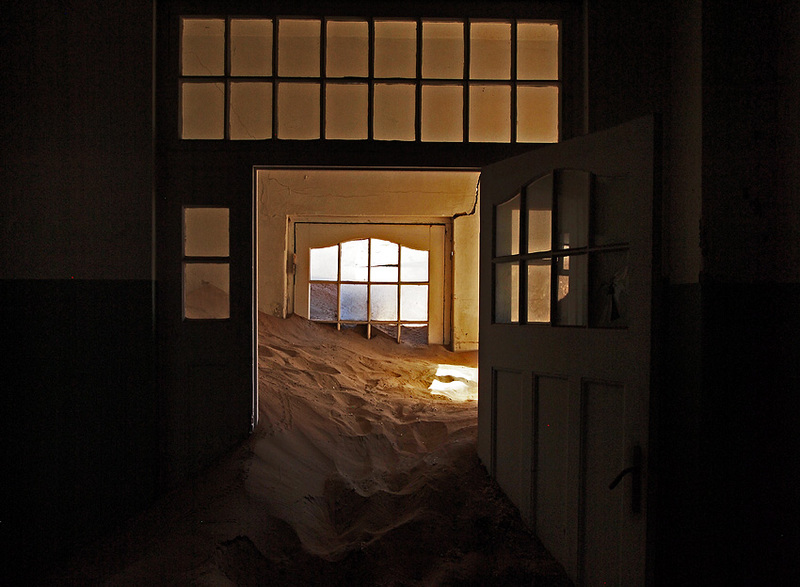 Of course there had to be a hospital in a wealthy and organised town such as Kolmanskop. 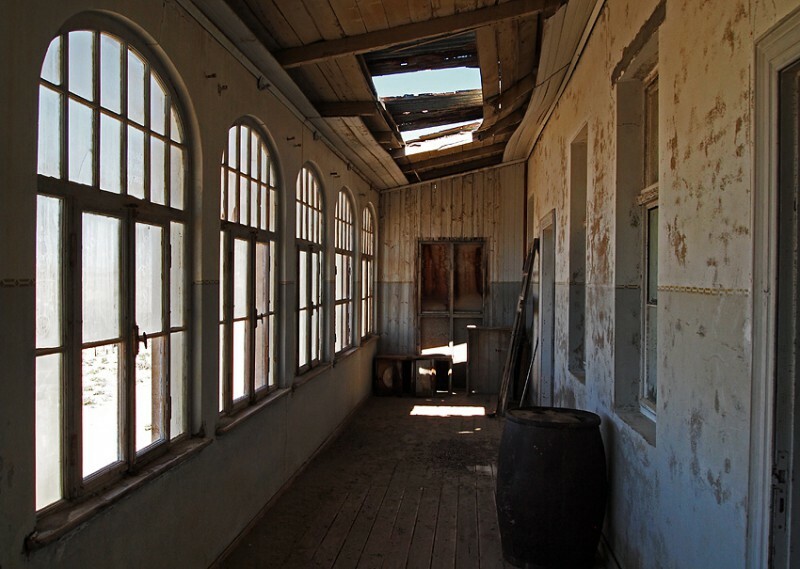 The picture above shows the first hospital in Kolmanskop. Some of the equipment used is shown in a small room in the “Old Shop”. Later on the hospital was enlarged to what it is today. When you enter the building the hospital “feeling” is unmistakable. This was a very modern hospital in its days. 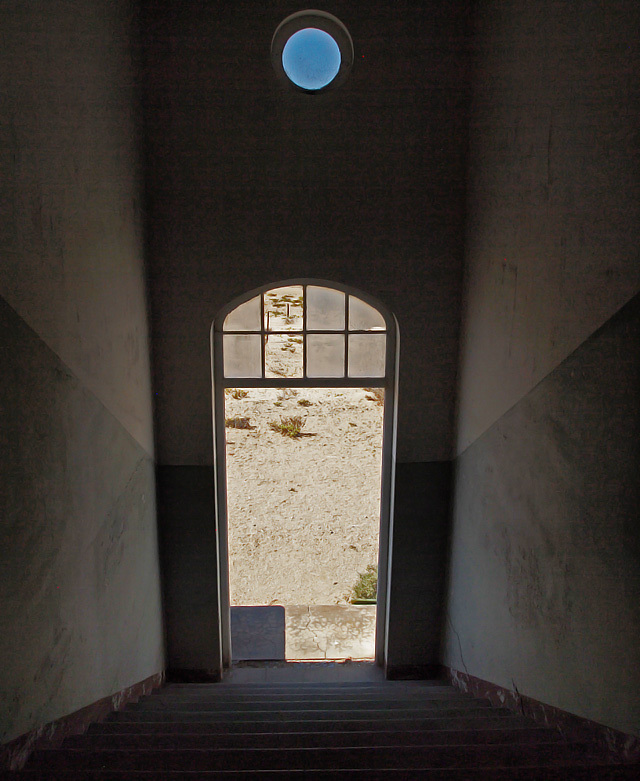 The hospital in Kolmanskop had the first X-ray machine of the southern hemisphere. 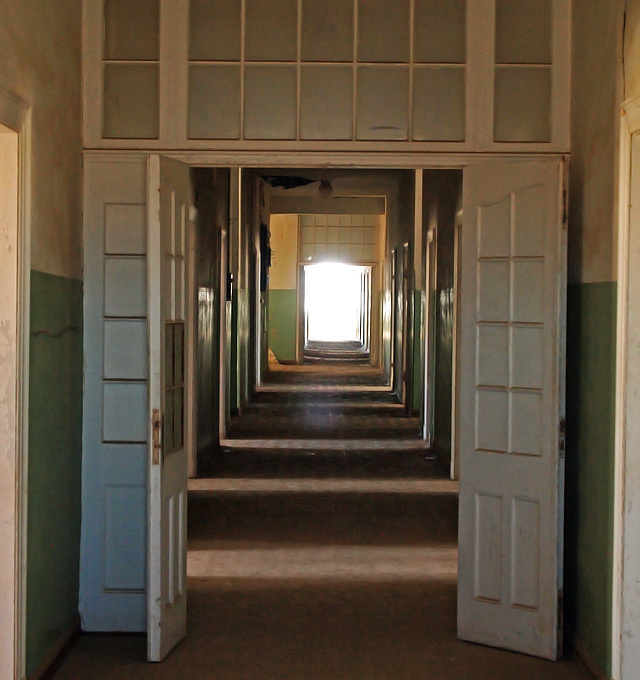 The acquisition of an X-ray machine was not only motivated by concern of the people living in Kolmanskop. 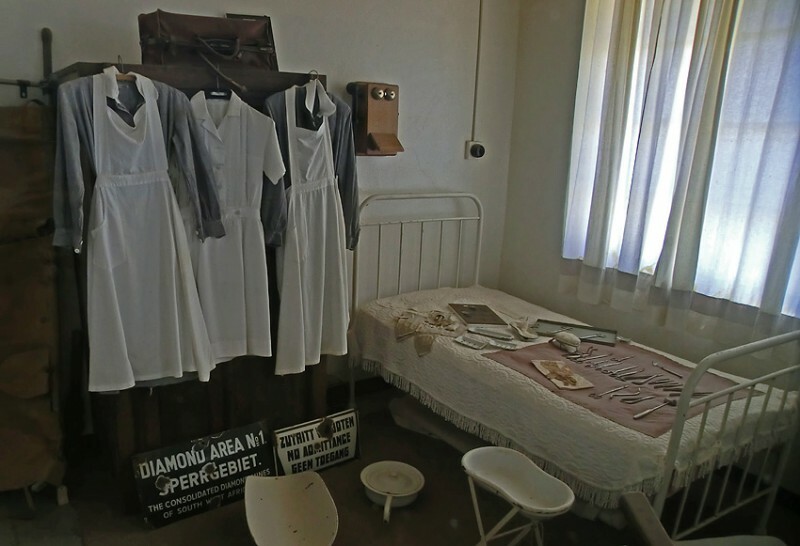 In Kolmanskop an X-ray machine could also be used to detect the smuggling of diamonds. 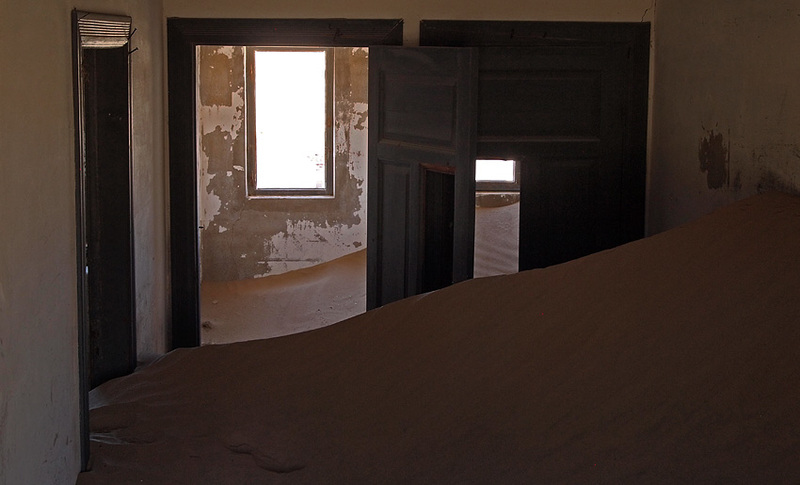 When Kolmanskop finally was abandoned the machine was sent as a gift to Ovamboland. Very appropriate since it was contract workers from Ovamboland who did all the hard work mining the diamonds. Morning. Similar to the earlier comment about hospital records, I somehow doubt if there are any at all. I lived in Oranjemund in 1979 – 1981 and from what I heard from the late Mickey Reshke, when Kolmanskop was abandoned a certain amount of vandalism set in. As it was, relevant mining maps etc of the area had been secreted under the floorboards in an office, so any other documentation not pertinent to diamond mining would have been discarded as waste. The best is to contact Oranjemund people on the internet and pose the question. Perhaps they are lying undisturbed in an old box in a dingy store in Oranjemund? Regards. Trevor.